2Baqiyatallah Research Center for gastroenterology and Liver Diseases (BRCGL), Baqiyatallah University of Medical Sciences, Tehran, Iran. The staging of gastric cancer has an important role in the management of tumors. Surgeons & oncologists may use many diagnostic tests to measure the stage of tumors. There is a need of study about the reliability of diagnostic endosonography as one of the most important tests for evaluating tumoral stages. The aim of current study is to determine the efficacy of endosonography (EUS) for the staging of gastric tumors pre-operatively. This cross-sectional study was performed on 120 patients with gastric cancer who underwent gastrectomy operation and admitted to a tertiary hospital between 2014 and 2015. At the beginning, the tumors were staged by using endosonography. Also, the tumors re-staged after surgery by histopathologic studies. The results of the two methods were compared. Diagnostic indicators such as sensitivity, specificity, accuracy, positive predictive value and negative predictive value were compared between the two methods and the level of 0.05 was considered as statistically significant. Mean age of the patients was 65.44±12.3 years. Of the total patients, 87 patients (72.5%) were male and 33 (25.5%) were female. The accuracy of endosonography method was 82.5% for tumor size. Also, the accuracy of evaluating lymph node involvement by endosonography was 79.2% and for metastasis was 25.0%. Endosonography is a precise method for evaluating tumoral invasion and lymph node involvement with a high accuracy in our hospital and is recommended to be used forpre-operative staging of gastric cancers. The gastrointestinal cancers are one of the most prevalent malignancies that lead to the death of thousands of people in around the world [1, 2]. The mortality of gastric cancers is in the second rank among GI malignancies. Gastric adenocarcinoma is a high prevalent GI neoplasms that may present with 4 categories of clinical symptoms including the symptoms are related to mass itself (pain in epigastria, vomiting, nausea, anorexia, etc. ), related to local invasion (obstructive jaundice, malignant ascites, etc. ), related to metastasis, and para-neoplastic syndromes [3, 4]. Many risk factors includes family history, Diet (using high in nitrates, salts, and fats), positive past medical history of GI problems such as atrophic gastritis, H-pylori infections, nonalcoholic steatohepatitis, nonalcoholic fatty liver disease, familial adenomatosis polyposis, hereditary non-polyposis colorectal cancer, intestinal metaplasia or dysplasia. Also, the epidemiology of gastric cancers is highly prevalent in the male gender, Asian race, individuals with blood group of type A, and individuals with low vitamin D as an antioxidant agent [5-10]. Using Endoscopy as a practical and cost-beneficial diagnostic test results in decreasing mortality. But, it usually does not use in staging, prognosis, and survival of the GI cancers. One of the best diagnostic test that is used in the staging of GI cancers is endosonography (EUS) that helps to show tumoral invasion and the extension to lymph nodes [11, 12]. The other prognostic tests such as CT scan, MRI, PET scan, and laparoscopy may be useful in the staging of cancers. There are many studies that show the preference of EUS to CT scan for reporting lymphadenopathy, size of tumor and staging with higher sensitivity (80-90%) and specificity (75%) . Also, there is the capability to take samples by using of Fine-needle aspiration biopsy (FNAB) for pathologic studies of the tumoral mass. The rate of one-year survival after surgery is relatively low (53%). The number of lymph node involvement (N staging) is more important than the local invasion of the tumor (T staging). In patients with the maximum invasion of the tumor (T4) without any lymph node involvement the 5-year survival rate significantly increases [14, 15]. Determining of staging before surgery for considering extra treatment plans such as chemotherapy before surgery can increase the survival rate of patients. As a consequence of strong screening plans to easy diagnosis gastric cancers in Japan, the 5-year survival after surgery is increasing significantly to 86% . The endosonography is somehow a modern diagnostic tool in Iran and is gradually becoming a useful tool for pre-operative staging around the country. The aim of the current study is to investigate the accuracy of endosonography in gastric cancers compared with final staging by histopathologic finding after surgery. This cross-sectional study, was conducted on patients who underwent gastric resection surgery between 2014 and 2015. The inclusion criteria was the patients who were admitted to a tertiary hospital between 2014 and 2015 and underwent elective gastric cancer surgery. The setting of study was in Baqiyatallah hospital and all patients underwent endosonography by an expert gastroenterologist. Diagnosis and determination of cases were performed by using the TN staging system. The TN staging system is used to determine tumoral invasion to the tissue layers, lymph nodes involvement around the tumor, and metastasis existence. According to the indications, the patients who underwent tumoral resection surgery were included in the study. Then tumor staging was determined using endosonography. Indeed, the specificity, sensitivity, positive and negative predictive values, and accuracy calculated for each component of the TN staging system. The benchmark test for determining definitive staging was histopathologic studies of the resected tumors. The results of histopathologic staging were compared with the endosonographic staging. Data were analyzed using IBM SPSS Statistics for Windows (version 21, IBM Corp, Armonk, NY). For statistical significance, p ≤0.05 considered as significant. Quantitative variables reported as mean (SD) and percent. Qualitative variables were analyzed by number and percent. Normal distribution of variables performed by the one-sample Kolmogorov-Simonov test. Significant differentiation between groups analyzed by using of Chi-square test. Diagnostic characteristics of the sensitivity, specificity, accuracy, and positive and negative predictive values were calculated by formula. All the principles outlined in the Helsinki Declaration have been followed in all the experiments involving human subjects during the current study. A total of 120 (87 males and 33 females) patients enrolled in the study. The mean age of all cases and the standard deviation were 65.44 ± 12.13 and also separately in men and women were 64.93 ± 12.06 and 66.76 ± 12.41, respectively. The mean of BMI was 23.98 ± 2.27. Abdominal surgery was in the past medical history of 20 patients (16.7%). Of Twenty-two (18.3%) patients who were diagnosed T2 in pathology, there were 20 patients (90.9%) in the endosonography method that identified the size of the tumor correctly and for T3 from fifty-one patients (42.5%) were diagnosed by pathology, 42 (82.4%) patients recognized correctly with endosonography method (Table 1). Indeed, of 46 (38.3%) patients who were staged T4 in the pathology, there were 37 (80.4%) patients staged in endosonography correctly. the accuracy of tumor size diagnosis was 82.5% by endosonography. The accuracy of tumor size staging in patients with BMI less than 24.5 was 83.8% and for the patients with BMI greater than 24.5 was 80.8%. There is not any significant relationship between the diagnosis of tumor size and BMI (P>0.05). Sensitivity, specificity, accuracy, positive predictive value and negative predictive value indicators in each component of TNM staging system with endosonography have shown in Table 2. For example, the sensitivity in staging of T3 was 82.4% and in T4 was 80.4% and the T4 accuracy index was 90.0% in endosonography. Of the thirty patients (25.0%) with lymph node involvment of N1 in the pathology studies, there were 24 patients (80.0%) staged N1 correctly by endosonography method and also of the total of 40 patients (33.3%) who have staged N2 in the pathology, the number of 31 patients (77.5%) correctly staged the lymph node involvment in endosonography. Also, Of Twenty-three patients (19.2%) in the N3 pathologic studies, there were 18 (78.3%) patients in endosonography. The accuracy of the detection of lymph node involvements was determined 79.2% by using endosonography. The diagnosis accuracy of the lymph nodes was 87.2% in men and 81.8% in women. Table1.Frequency (percentage) of histologic agree diagnosis with Endosonographic results that shows accuracy of enosonography in staging of gastric cancers. Table2. Sensitivity(Sen), specificity(Spe), Accuracy(ACC), Positive predictive value(PPV), and Negative predictive value(NPV) of each stages in diagnosis of gastric neoplasms using endosonography in the study. The aim of the current study was to determine the accuracy of staging by endosonography method before surgery and comparing with pathologic results after surgery. The prognosis of gastric cancer is related to the staging of the tumor. So, staging is important to choose the best treatment including surgical therapy, neo-adjuvant chemotherapy or conservative management. There are many studies have showed that EUS has priority to CT scan for staging. Also, the possibility of taking the specimen in EUS for pathologic studies is an important factor that shows its priority [4, 17]. The present study showed that it has a high level of accuracy for T staging of gastric cancer. Endosonography can determine tumor size with high specificity (90.9%). Indeed, diagnosis accuracy of local invasion in the gastric tumor is 82.5% in endosonography. The sensitivity and specificity of endosonography in the diagnosis of T2 tumors were 90.9% and 96.8%. Also, the diagnosis capability of the T3 stage was close in both groups. The specificity and sensitivity in the diagnosis of T4 tumors were 80.4% and 91.0%, respectively. It shows that endosonography is a good test for evaluating tumoral invasion and lymph node involvement with a high accuracy and recommended to use for staging of T and N.
In a similar study, the specificity and sensitivity of T1 in diagnosis in upper GI cancers were 88% and 63% and the accuracy of lymph node involvement was 71% . In Lowe et al. Study the sensitivity of EUS in T was lower than our study (71% vs.90.9%) . Also, the sensitivity and specificity of N staging was 86.0% and 67.0% in their study. In a study, they found that EUS have a low accuracy in diagnosing of superficial tumors (T1a Vs. T1b) . Also in another study, the authors compared the accuracy of EUS and CT scan and found that EUS is better for diagnosing of tumoral locally invasion and lymph node involvement . In this study, whatever T staging increases, the overall accuracy of diagnosis by EUS decreases. Indeed, the overall accuracy of diagnostic EUS for lymph node involvement was 81.5% and is more accurate than Walker et al. study . It means that of 5 patients there is one patient with diagnostic discrepancy occurring. Also, there is a high index of specificity in the diagnosis of N0 and N3 (98.9% and 95.5%). In our study, the overall accuracy of diagnostic EUS for lymph node involvement was 81.5% which is more accurate than many similar studies. Endosonography is a precise method for evaluating tumoral invasion and lymph node involvement with a high accuracy in our hospital and is recommended to be use for staging of T and N in gastric adenocarcinoma. The authors are extremely grateful to all the participants that accepted to include in the study. HK and MEG designed the study and drafted the manuscript. ARK and MSB helped in manuscript drafting and analysis. SNS and AK helped in manuscript drafting and data-analysis as well as acquisition of data. All authors have approved the final version of manuscript. This study was registered at ethics committee of Baqiyatallah University of Medical Sciences, Tehran, Iran. A written informed consent was taken from patients for participating in this study. All the personal information remained anonymous. 1. Polednak, A.P., Trends in survival for both histologic types of esophageal cancer in US surveillance, epidemiology and end results areas. International journal of cancer, 2003. 105(1): p. 98-100. 2. Parkin, D.M., et al., Global cancer statistics, 2002. CA: a cancer journal for clinicians, 2005. 55(2): p. 74-108. 3. Pfau, P. and A. Chak, Endoscopic ultrasonography. Endoscopy, 2002. 34(01): p. 21-28. 4. Kelly, S., et al., A systematic review of the staging performance of endoscopic ultrasound in gastro-oesophageal carcinoma. Gut, 2001. 49(4): p. 534-539. 5. Kasper, D., et al., Harrison's principles of internal medicine, 19e. 2015. 6. Kelley, J.R. and J.M. Duggan, Gastric cancer epidemiology and risk factors. Journal of clinical epidemiology, 2003. 56(1): p. 1-9. 7. Rösch, T., Endosonographic staging of esophageal cancer: a review of literature results. Gastrointestinal endoscopy clinics of North America, 1995. 5(3): p. 537-547. 8. Rösch, T., Endosonographic staging of gastric cancer: a review of literature results. Gastrointestinal endoscopy clinics of North America, 1995. 5(3): p. 549-557. 9. Karimi Sari, H., et al., Prevalence of Non-Alcoholic Fatty liver disease in morbidly obese patients undergoing Sleeve Bariatric Surgery in Iran and Association with other Comorbid Conditions. Jundishapur Journal of Chronic Disease Care, 2015. 4(2). 10. Najafizadeh-Sari, S. and M.H. Khosravi, Vitamin D and viral hepatitis: the new issue in pathogenesis and outcomes. 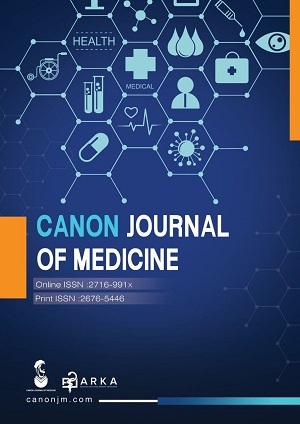 International Journal of Medical Reviews, 2017. 3(3): p. 457-468. 11. Rösch, T., Endosonographic staging of esophageal cancer: a review of literature results. Gastrointestinal Endoscopy Clinics, 1995. 5(3): p. 537-547. 12. Rösch, T., Endosonographic staging of gastric cancer: a review of literature results. Gastrointestinal Endoscopy Clinics, 1995. 5(3): p. 549-557. 13. Hwang, J.H., et al., A prospective study comparing endoscopy and EUS in the evaluation of GI subepithelial masses. Gastrointestinal endoscopy, 2005. 62(2): p. 202-208. 14. Allum, W., et al., Association of Upper Gastrointestinal Surgeons of Great Britain and Ireland, the British Society of Gastroenterology and the British Association of Surgical Oncology. Guidelines for the management of oesophageal and gastric cancer. Gut, 2011. 60(11): p. 1449-72. 15. Hartgrink, H., et al., Extended lymph node dissection for gastric cancer: who may benefit? Final results of the randomized Dutch gastric cancer group trial. Journal of Clinical Oncology, 2004. 22(11): p. 2069-2077. 16. Henry, M.M. and J.N. Thompson, Clinical Surgery E-Book: With STUDENT CONSULT Online Access. 2012: Elsevier Health Sciences. 17. Ganpathi, I., J.-Y. So, and K.-Y. Ho, Endoscopic ultrasonography for gastric cancer. Surgical Endoscopy And Other Interventional Techniques, 2006. 20(4): p. 559-562. 18. Rampado, S., et al., Endoscopic ultrasound: accuracy in staging superficial carcinomas of the esophagus. The Annals of thoracic surgery, 2008. 85(1): p. 251-256. 19. Lowe, V.J., et al., Comparison of positron emission tomography, computed tomography, and endoscopic ultrasound in the initial staging of patients with esophageal cancer. Molecular Imaging and Biology, 2005. 7(6): p. 422. 21. Fairweather M, Jajoo K, Sainani N, Bertagnolli MM, Wang J. Accuracy of EUS and CT imaging in preoperative gastric cancer staging. J Surg Oncol. 2015;111(8):1016-20. 22. Walker, A.J., et al., Integrated PET/CT fusion imaging and endoscopic ultrasound in the pre-operative staging and evaluation of esophageal cancer. Molecular Imaging and Biology, 2011. 13(1): p. 166-171.